As part of its commitment to the environment, Canon Australia has launched a range of "green" calculators that have been manufactured using recycled materials from end-of-life Canon photocopiers. Made from up to 80% of recycled materials, Canon's new calculator range highlights Canon's commitment to its kyosei philosophy - living and working together for the common good - as well as technological innovation. 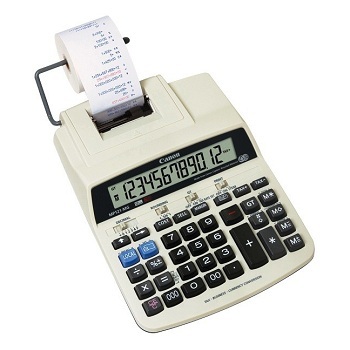 The HS-20TG is an environmentally friendly "Green" calculator. 12-digit big number display for easy reading of the screen.